Sugar factories from Tay Ninh province have spent over VND110 billion ($5 million) to plant sugar cane in Cambodia's Svay Rieng province for the 2012-2013 crop, said the Tay Ninh People's Committee. The Bien Hoa- Tay Ninh and Bourbon-Tay Ninh sugar factories are in a joint venture with their Cambodian partners to plant 3,500 hectares of sugar cane on plantations that will provide materials for these Vietnamese sugar factories. Vietnamese sugar producers have planted the crops in Cambodia as sugar cane in Vietnam has faced stiff competition for farmland from other crops such as cassava and rubber. 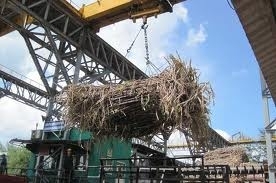 However, Vietnamese investors said poor infrastructure has made it difficult to transport sugar cane to Vietnam. Provincial authorities met last week to discuss measures to tackle these difficulties in a bid to promote trade and business ties between the two provinces in the time to come. The sugar cane sector is a part of a co-operation agreement signed between the two provinces last September to create jobs and boost incomes for local people. According to Vietnam's customs department, bilateral trade between the two countries reached nearly $1.5 billion in the first five months of this year, an increase of 30 per cent against the same period last year. Vietnamese businesses have more than 110 investment projects totaling more than $2.4 billion in registered capital in Cambodia. Of this capital, 40.7 per cent was in agriculture and forestry, 34 per cent in electricity production and 11 per cent in the finance and banking sector. Cambodia has become the second biggest receiver of investment from Vietnamese businesses.